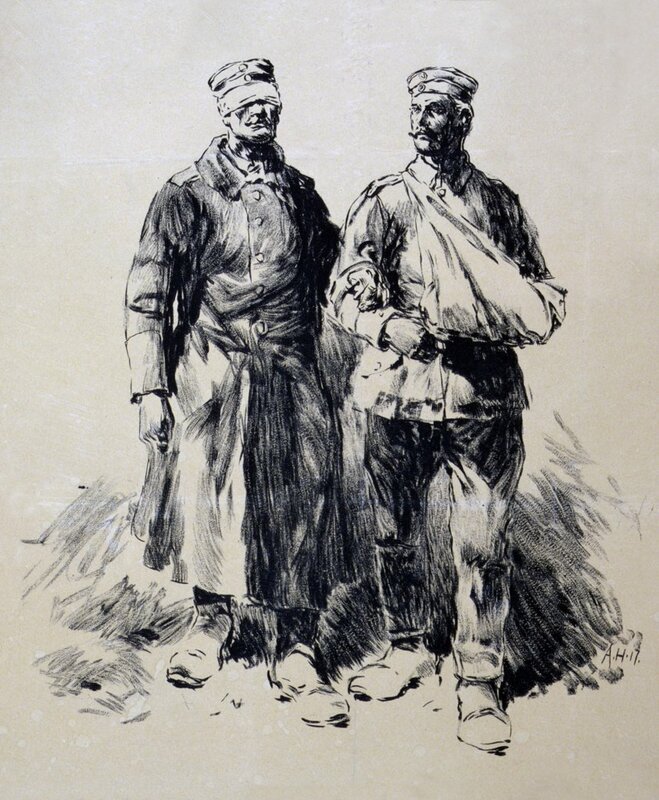 Stock Photo: World War I, Poster shows wounded German veterans, a blind soldier being led by a soldier with his arm in a sling, lithograph by Dr. C. Wolf U. Sohn, 1917. This image has Additional Restrictions. Please contact our Sales department for more details.